Remember to push CHEQUE instead of SAVINGS when using ATM and EFTPOS. Our new banking system makes your online banking experience faster and more reliable. 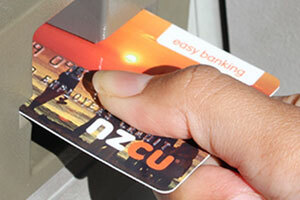 The new system keeps the credit union up to date with digital technology and the changeover went live in February. Due to the change of our banking system Interest earned on the savings accounts below will be paid on 1st February 2019. You will also continue to earn interest payable on the 30th June of each year for Loan Provider, Target Savings, Kids Club. And will continue to earn interest payable on the 31st October for the Christmas Club Christmas Club Savings, Loan Provider Savings, Target Savings and Kids Club Account.